Cyndi Johnson Lempesis hadn't planned to run a health foundation. And she never would have guessed the foundation would be named after her own child. "Post Falls is a little town, and Jordan was well-liked in our community. He was a great kid," Lempesis recalls. "We were at a basketball tournament back in 2006 (in which one of Jordan's older sisters was playing) and as we were sleeping in our hotel, he made a few strange sounds in his sleep, like a gasping," she says. Less than a minute later, Jordan was suddenly unconscious and had stopped breathing. Lempesis and her husband performed CPR and eventually secured both epinephrine and an automatic external defibrillator (AED). "The epinephrine didn't work, and he didn't respond to CPR," says Lempesis, her anguish absent only because she's repeated the story so many times. "I don't know how long it took, and even though [the hotel] did have an AED, it was too late. If there is nothing to shock, it won't work." 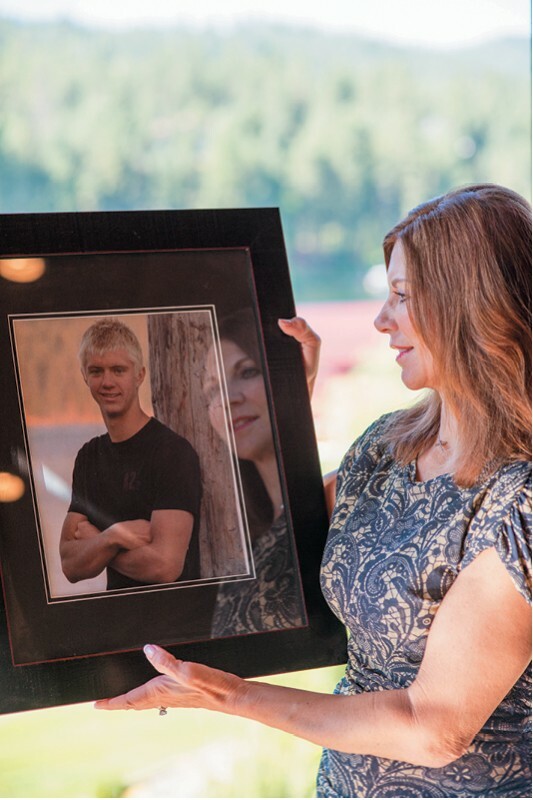 In a matter of minutes, her 15-year old son was gone. Jordan had suffered a sudden cardiac arrest (SCA). During a SCA, the heart goes into ventricular fibrillation: the heart's electrical system becomes erratic, and the heart stops pumping blood. Once the heart stops, both CPR and defibrillation must happen within 5 to 7 minutes of collapse, or death (or extensive brain damage) is imminent. Lempesis found out later that Jordan's irregularity was set off by hypertrophic cardiomyopathy (HCM), an elusive, complex and deadly genetic heart condition that causes overly thick heart muscles. Jordan had passed several pre-participation physicals for sports, but HCM is hard to detect in routine physical exams — even with an ultrasound — and in young, healthy people, there are no outward symptoms. "My son died of hypertrophic cardiomyopathy. His heart cells should have been stacked like bricks. With HCM, they are like spaghetti." Sharon Bates — who lost her son, Kansas State football player Anthony Bates, to SCA in 2000 — has become a friend and mentor to Lempesis, as have other mothers whose children have suffered the same fate. "Nobody chooses to be an advocate for SCA," says Ryan Schaefer, a cardiac nurse and electrophysiology expert who's an educational partner to Lempesis. "Most of the advocates' involvement comes on the heels of a very bad incident." By the time Schaefer and Lempesis met this year, she had been offering heart health screenings in North Idaho through Straight from the Heart: The Jordan Johnson Foundation. The two discovered they shared a passion for getting the word out to students about preventing SCA and the life-saving role of AEDs. Now they work together, with funding from Providence Health Care's chapter of Project Adam, a national foundation started by parents who lost a son to SCA. Lempesis offers her personal experience, and Schaefer offers diagnostic equipment and medical expertise. "Sudden cardiac arrest is an odds game," Schaefer explains. "[In the U.S.] one high schooler every three days has a SCA incident. The more people in one place, the bigger chance it will happen." The statistics about SCA in young people fluctuate wildly. The American Heart Association says 10,000 of the 360,000 Americans who suffer cardiac arrest outside of a hospital each year are children. Other experts claim it's only 1,000. The highest overall SCA survival rate is 10 percent; yet for children, it's only 3 to 6 percent. That's why what happened to a 15-year old East Valley sophomore during her last week of math class this past spring is so remarkable. "I was feeling shaky, trembling and foggy on the way to math class," she explains. "When I got there, people were moving and talking around me, and at one point everyone was seated and partnered up except for me... My teacher asked three times if I was OK, and I didn't respond or move to meet his gaze... but then I did and my eyes rolled back. I fell first on my knees, then my side and onto the ground." While the majority of people become unconscious when their hearts stop pumping blood to the brain, something about her collapse was different, because she remembers distinct words and sensations as she faded in and out of consciousness. For instance, she could feel the CPR. "Under my skin, it felt like searing heat running through my veins, the way my blood was supposed to… it hurt on the surface of the skin, and it did leave burns. My whole body was stiff for a second and I lurched forward. I understood the nurse saying she was worried she would have to shock me again. That's when I found my voice, and started yelling ‘NO! NO!' "
Schaefer assisted with the follow-up battery of X-rays, EKGs and echocardiograms, routine for every patient who has suffered cardiac arrest. But they couldn't find what they were looking for. "It's all very inconclusive," she says. "They've performed every test in the book, and everything looks normal." Even with the unanswered questions, her parents say they are not stopping to second-guess anything. They are just grateful for their daughter's life. "What I really appreciate is everyone who worked on her," her dad emphasizes. "Their bold, decisive action was stellar. It was perfect. The math teacher, the nurse, Ryan and the Sacred Heart doctors did the right things, and our daughter is sitting here with us as a result. I always hope that people will feel that they can take action without fear of repercussion." In addition to having a Good Samaritan Law that protects bystanders who intervene in medical emergencies from liability, Washington state has a new law that supports the mission of Project Adam and Straight from the Heart. The law (HB 1556) mandates CPR training in every high school, and support for securing added funding for training and implementation. "Anybody can be a rescuer," says Lempesis. "AEDs just have to be available, and we give them the skills to know how to act." Schaefer has already placed 80 AEDs in schools across the Pacific Northwest, including five Spokane high schools. "At our most recent heart screening," Lempesis says, "we found two young people with abnormalities… I don't know if they would have found out otherwise. So, that helps me. It's a healing process."